Firstly A sister with 2 young daughters in the UK finds herself in the predicament of her husband spending time away from her at nights in another room due to anxiety, to the extent that she says her Imaan is in danger. She has tried to support & encourage him & the husband has been to see Ulama, counsellors & therapists but to no avail. The issue of lack of any type of intimacy has subsisted for almost 5 years. Second, she lives with her in-laws, who after expecting her to carry out housework show no appreciation for her efforts. In fact, they criticise or show a lack of appreciation for what she does and continuously criticise the efforts she makes in bringing up her children. During and after a difficult pregnancy where she was weak, her in-laws categorically told her she was not welcome in their house. She has repeatedly requested her husband that they move out, but he has thus far not acceded to the request. Third, there have been some instances of minor physical abuse from the husband towards her. On one occasion due to the environment of the home and lack of support from her husband, she found herself aimlessly wandering the streets at night whilst pregnant. In other words, this is an indication of her mental state. Fourth, there has been little effort on the husband's part to support her in the tarbiyah of the 2 children. For example, in teaching her children the Sunnah method of sitting on the floor and eating or not watching TV, she has faced opposition from her in-laws & her husband has not supported her. Fifth, the relationship is devoid of emotional and intimate support from the husband, which in this case was more than compulsory due to issues such as abuse that she suffered in her early life. Sixth, he has shown little or no effort in her tarbiyah and her Imaani strength is dwindling. Based on the 6 things above (which is a mere summary) her mental and emotional health has been adversely affected. Obtaining a divorce from him is problematic as he is reluctant to issue a divorce. Faskh too is difficult because the husband promises to take remedial steps but doesn't follow through. But this is not her biggest issue. Her biggest issue is that even if she were to obtain a divorce, not a single mahram, is willing to see to her needs after divorce, either because they cannot do so, due to ill health or because they wish to protect the family honour and dignity by not having to deal with a divorcee. To date, when she has had issues, they have encouraged her not to complain & remain in the marriage. The only plausible solution that remains, if a divorce is given is that she applies for government housing, lives alone with the kids and the rent is paid on her behalf by the government. This still does not alleviate the problem of providing for the needs of her children, because family are unwilling to provide the childcare for her to undertake necessary work. Therefore neither can she leave the marriage, nor can she stay. Please advise, from a Shar'i perspective, what she should do in this situation? Firstly, you mentioned that the husband stays away from his wife due to anxiety. If that’s truly the case, then he should continue working hard to find a solution for the anxiety he faces as that seems like the main cause to the rest of the problems. If he gets cured and starts spending more time with his wife, it is hoped that they will start developing mutual understanding and the wife will be able to express her feelings more. The very fact that they have slept separately for so long shows that they have, or the husband at least, has developed a dislikeness towards the wife and doesn’t really care for what others accuse her of doing, or what she feels. Sleeping together is the starting point into developing love and understanding among spouses. The wife’s patience throughout these years and at the same time, being supportive of her husband’s illness is commendable indeed. The husband must keep in mind that he will be sinful for abusing the rights that his wife has over him. The wife should try speaking to other family members or friends who understand her situation, to try and explain her problems to her husband if the husband is unwilling to listen to her. She should try to convince her husband into moving to a separate place as that will give them more time together to set things right without the interference of her in-laws. She should continue giving correct upbringing and manners to her children and mustn't be discouraged by others’ opposition towards her. If the husband persists, they should both try a temporary separation for some time. The wife should speak to her own family or friends to find a place to stay, and leave the house for some time. She should either write a detailed letter or leave a message explaining the problems she is facing that makes her unhappy to stay in the marriage. She should mention to the husband that she can obtain a faskh from the qadhi and isn’t necessarily in need of his approval. This is to hope that this drastic move shakes the husband and that it may or may not bring the husband to his senses and he may start giving-in to her requests. Lastly, although she should try to resolve the problem without considering divorce, if the husband continues to be mentally and physically abusive towards her, then she should consider actually obtaining a divorce and raising her children herself in the correct manner, with a sound and healthy piece of mind, under the governmental housing. 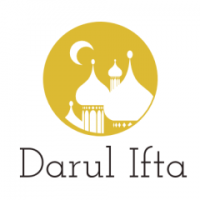 Although finding a living to support her children is a matter of concern, she should make consistent du’as to Allah Ta’ala, as he is our Sustainer and Provider, so that she may find a job and be able to become a means in providing for her children. This option, as a last resort, is better than staying in a marriage that is mentally torturing her, and misleading her children. As a last point, she should try speaking to the elder maulanas and aalimaat of her locality to see what they would suggest her and they may be able to pinpoint another cause to all these problems after listening to her verbally explain the situation.